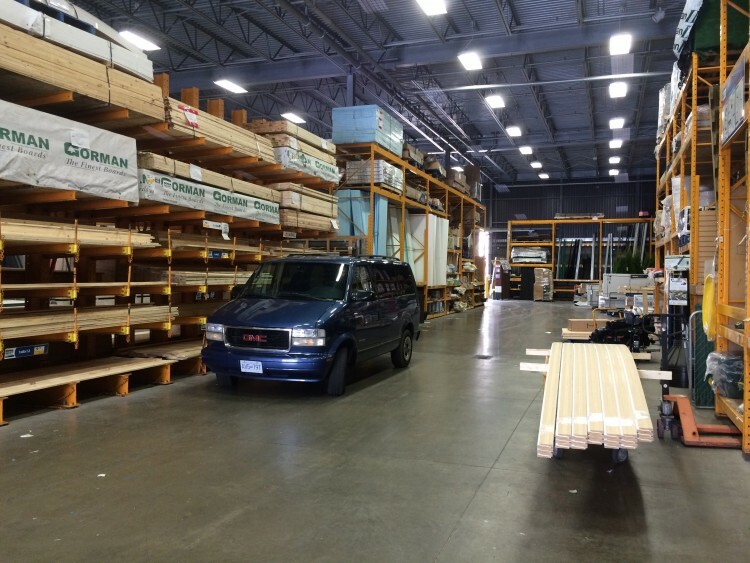 After nearly three months of thinking about the van and coming up with a design, it was time to fly down to Victoria, British Columbia to start work. I had a week to transform the van into a camper for my and Carly’s week long road trip back up to Whitehorse, Yukon, where I plan on living in the van all summer and exploring the Yukon and Alaska. Here is part one of the conversion. I wasn’t originally going to remove any of the van’s panelling from fear of messing up, but as soon as I was reunited with the van I changed my mind. 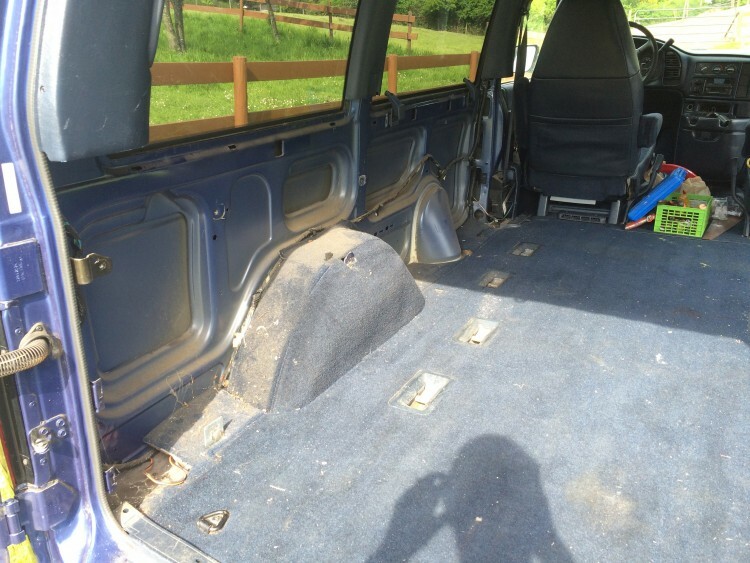 So my first move was to get destructive and remove all of the trim from one side of the van’s rear. This opened up a lot of extra storage room. As I was now on a destructive kick, I also removed all of the rear seat belts. No going back now! I remembered from the last conversion that constructing things from wood requires a very different way of thinking and problem solving from my normal computer work. 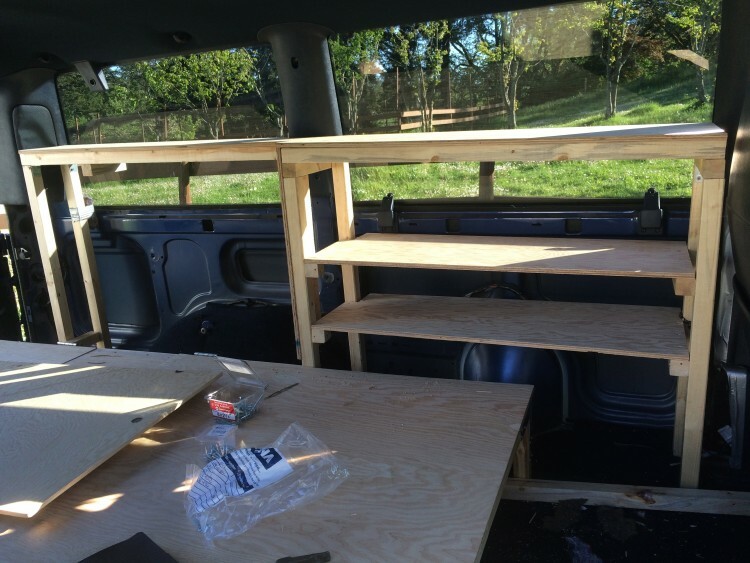 It took me a little time to get set up and my head in the game, but I was enjoying starting another van project. 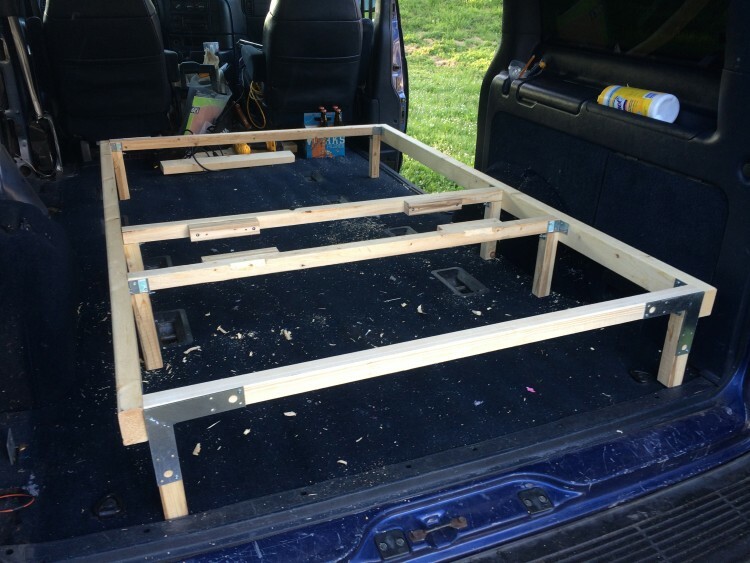 Once up and running my first step was to build the bed frame. I already had the foam custom made so there wasn’t any flexibility in these dimensions. I used two by twos and two by threes for the bed frame. 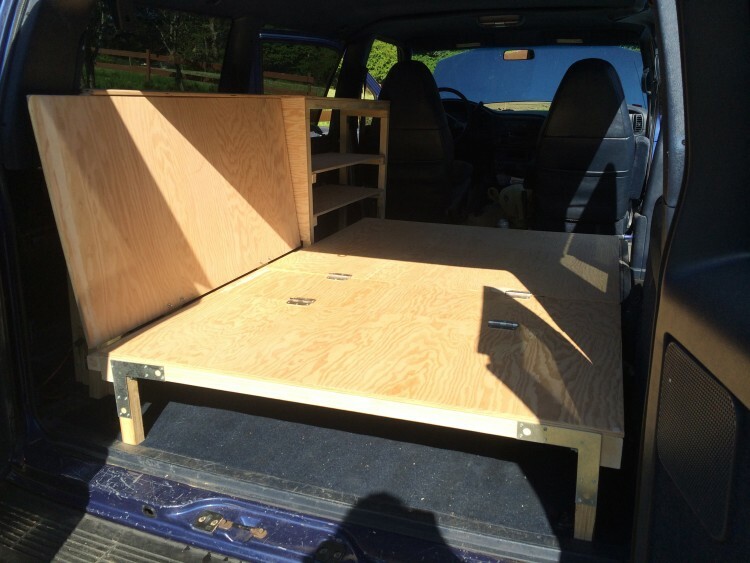 My last van used larger sizes (two by fours and two by threes) and I have to admit that I preferred having the extra surface area to make solid wood joints. I felt that the skinnier pieces were too small for the joints I would have liked to use, so I ended up having to reinforce them with metal plates. Not only were these much more expensive then using the larger sized wood, but I felt that it would have made a nicer end product. But you live and learn. 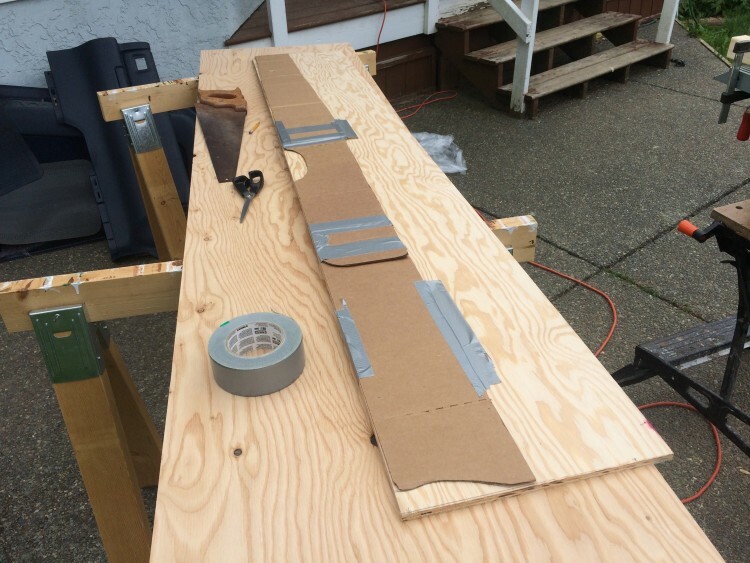 Once everything was glued and screwed the final product ended up being a very solid frame. From here I cut pieces of ply to size and fixed them to the bed frame, both hinged at one end. This will allow for easy access to storage under the bed. 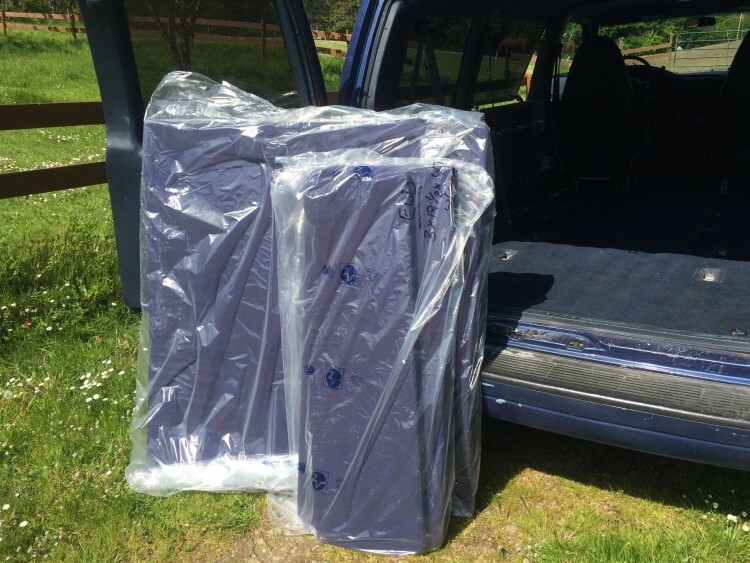 The next job was to build the storage along one side of the van, which also incorporates a hidged sofa back. This is where the project got a little less ‘straight’. 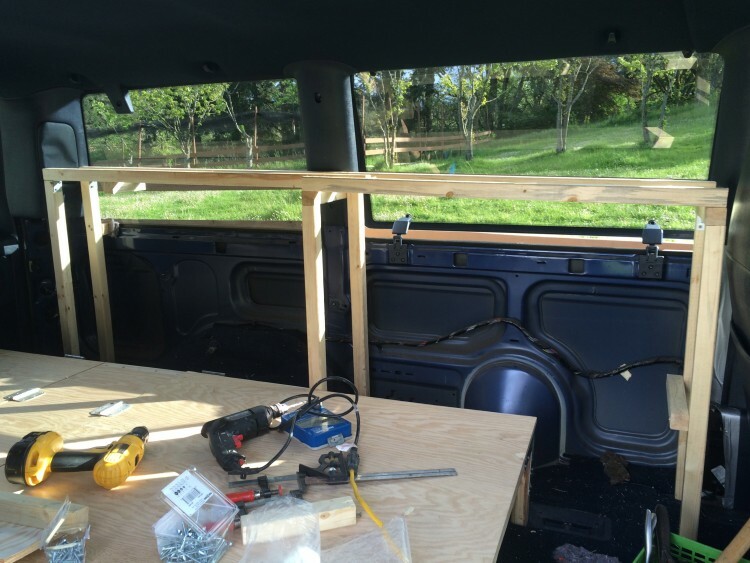 I built the frame for the storage so it fitted tightly in-between the bed frame and the side of the van. I ended up making it taller than originally planned so I could still access the window latches in order to open the window. Some things you can’t plan for when 3000km away. Due to the van having all sorts of bulges and curves (and perhaps a miss measurement here or there), the frame ended up being a bit wonky. 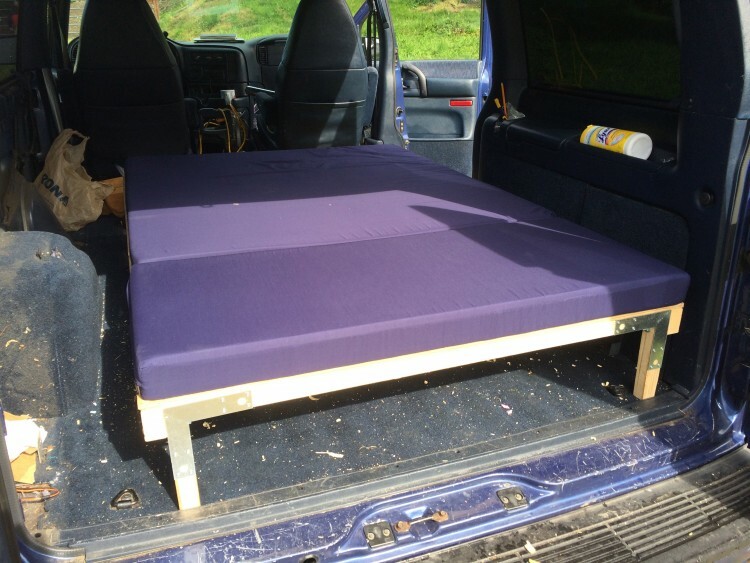 However once fixed to the bed frame and a few crude fixings to the side of the van it was pretty solid, so I decided a bit of wonkiness gave it character and ploughed on. 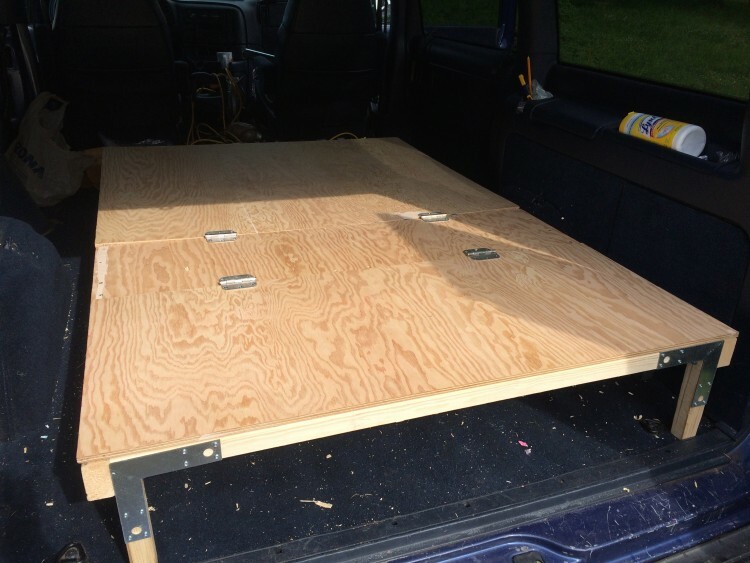 The top of the storage unit is made from a single piece of ply which needed to get around some of the van’s interior curves. I created a cardboard template and used a jigsaw to created the required cut-outs. I then added shelves to the storage unit, the heights of which I based on a load of storage containers which I was given by my very generous hosts (seriously, Hilary and JP were fantastic the whole week – thank you both). I then added a piece of ply on hinges which would act as the sofa back, and also allow access to the storage behind. This piece was slightly angled as not to be completely vertical. As I discovered on the last van, ventilation holes on the bed base are vital to allow the foam to breathe and prevent moisture building up. This time I measured out the holes to space them evenly so they were a little more visually pleasing. Ventilation holes on the bed base. These took a while. I then sanded everything and rounded off some corners. 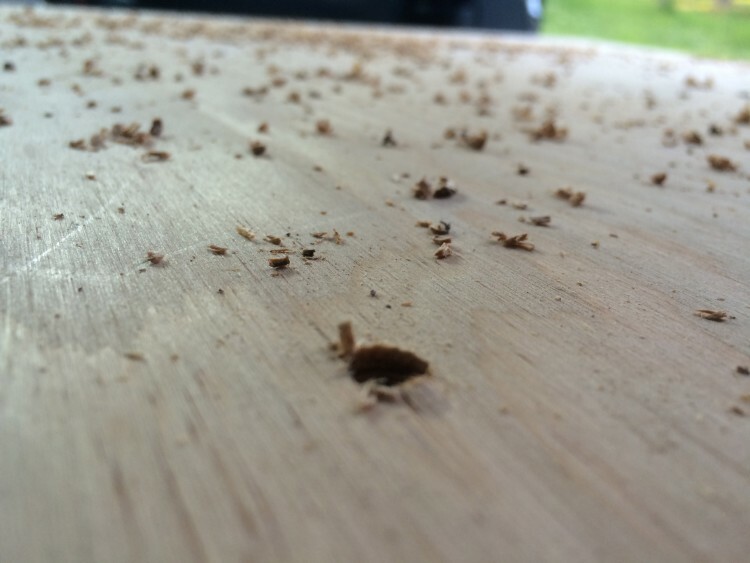 I made the mistake of doing some last minute sanding (I couldn’t be bothered to take everything apart in order to get it out) which means even after multiple sweeps, vacuums and a week on the road you can still find wood dust in there. Another lesson learned. 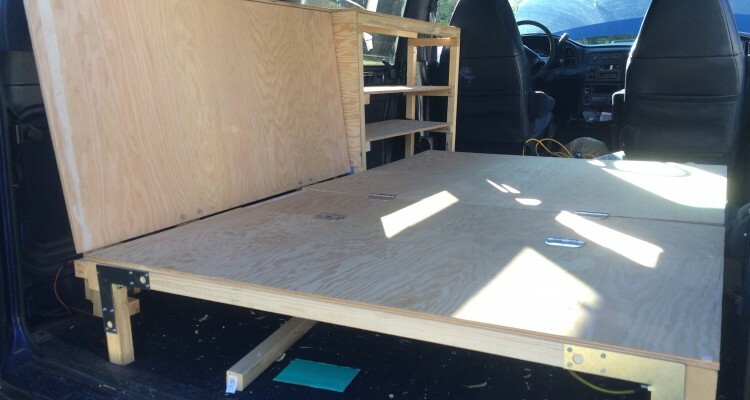 With that the bed and storage frame were complete. I am very please with how sturdy it ended up. Now I could move on to some of the many smaller jobs needed to make the van liveable (part two here). I found the build really fun, and at times challenging. 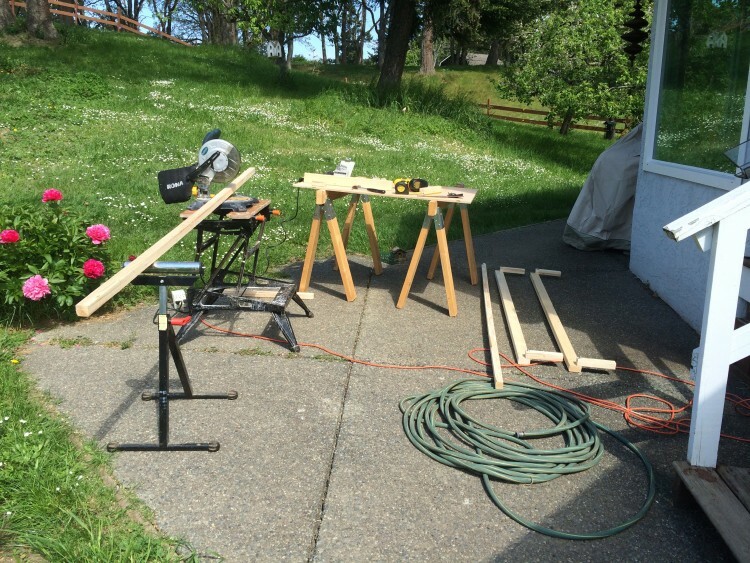 I very much enjoyed doing some more wood work and getting my head in to construction mode. I did some very long days and at times felt like a child playing out late on summer evenings, dreading the time when my mum shouted out that it was time to come in… only I’m not a child any more! When I eventually called it a night I cracked open a cold beer and drank it under the stars whilst listening to the noisy Vancouver Island frogs. Being an adult is cool. Great build! I have been checking on your older posts a lot to reference my build. I am in the process of putting together the final touches and pictures and will definitely send them your way. Nice job on the Astro, yet another way to do it! Thanks all for your kind words. Yes I had lots of fun with this!